We are one of the leading Direct Importers for Anionic Polyelectrolyte and Cationic Polyelectrolyte From New Delhi India. We bring to you a range of Polyelectrolytes for treatment of water from various processes. We offers top quality products, services and solution to all water related needs of various industries. Polyelectrolytes are highly versatile products which enhance the performance of a wide range of industrial applications and essential processes right from water purification, oil recovery, colour removal, paper making, mineral processing and a host of other uses. These products offer superior health and environmental benefits. Polyelectrolytes are both flocculants as well as de­flocculants depending upon the molecular weight. A flocculant is essentially a solid liquid separating agent while a de­flocculant is a dispersing agent. High molecular weight flocculants are capable of promoting flocculation by neutralizing the superficial electric charges of sludge particles in the water and destabilising each individual particle. The particles then are absorbed by the activated functional group in the flocculant polymer. Polyelectrolytes are polymers whose repeating units bear an electrolyte group. These groups will dissociate in aqueous solutions (water), making the polymers charged. Polyelectrolyte properties are thus similar to both electrolytes (salts) and polymers (high molecular weight compounds), and are sometimes called polysalts. Theoretical approaches to describing their statistical properties differ profoundly from those of their electrically neutral counterparts, while their unique properties are being exploited in a wide range of technological and industrial fields. The Powder Polyelectrolyte range is the results of many years of experience selecting our products in floating processes, primary decanting, thickeners and organic sludge dewatering, either for industrial waste water treatments or for waste water plants. 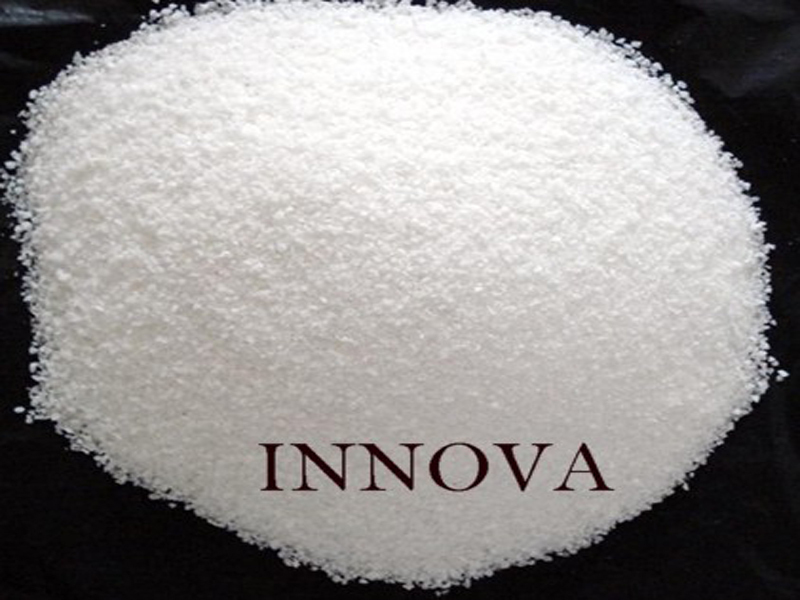 For your requirements of Chemicals, please mail us at vinod@innovacorporate.com Or amavinod@bol.net.in or call us on our Mobile No. +91-9312871070 OR 9911130697.